How to move from city to city in Thailand ? What are the upcoming events and festivals ? In Thailand, there are many festivals throughout the year including some like Loy Krathong and Songkran which are famous around the world. 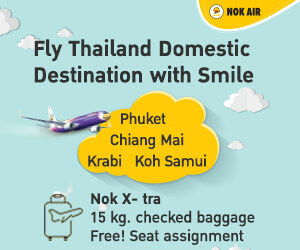 It is increasingly easy to find flights to Thailand at very good prices thanks to REGULAR promotions and price comparison sites.